The G20 Summit (Group of 20 countries) which was founded in 1999, aims to discuss policy pertaining to the promotion of international financial stability. The grand congregation of the 20 countries held on Sunday in Buenos Aires made cryptocurrencies a crucial part of the summit. The G20 Summit attended by leaders of the top 20 economies is responsible for 85% of the world’s gross domestic product (GDP). This includes economies of Argentina, Australia, China, US, UK, South Africa, and the European Union, to name a few. Currently, the market is showing a positive outlook as unemployment is low and financial progress is quite high. However, with this progress, increased risks are also been associated especially in the crypto space. The summit was expressed with optimism towards cryptocurrencies by the member nations. The member nations threw light on the cryptocurrency industry which now caters to the global markets. The members affirmed that the innovations in the field of technology supporting digital assets may bring “significant benefits” to the economy. However, matters of protection of the investors and consumers have equally been highlighted in the official document. Besides, the attention of the member states has been drawn towards issues like tax evasion and market integrity. They have also placed on the surface issues concerning money laundering along with financing acts of terrorism. During the discourse at G20 summit, the member nations selected a deadline in October for analyzing the worldwide anti-money laundering guideline. In the discussion, central bank governors of the G20 members and their respective finance ministers unanimously took a stand on “vigilant” overseeing of cryptocurrency. For the purpose of accelerating the vigilance on digital currencies, the G20 members expressed their reliance on Financial Action Task Force. An organization namely Financial Stability Board is primarily responsible to provide suggestions to G20 members on financial systems, regulated globally. Prior to the weekend deliberation, the Board prepared and produced multiple key metrics for invigilating crypto assets. This step came as a reply to the request made by G20 earlier in March, 2018. 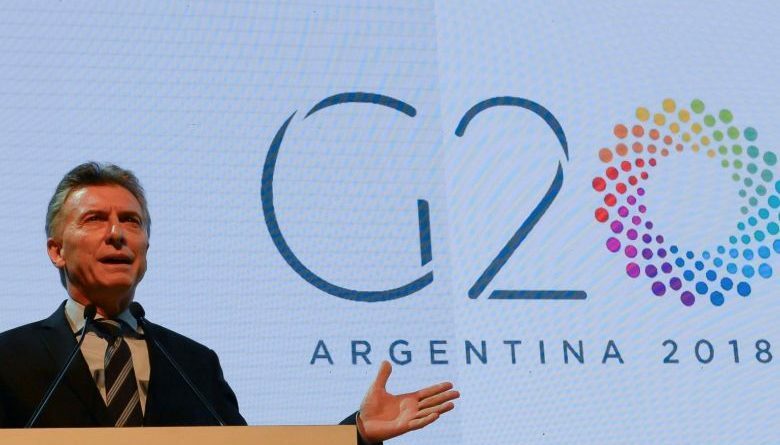 A report that was published by the G20 Summit held at Buenos Aires briefed about the regulations that need to carry on regarding cryptocurrencies. From the Financial Regulations section of the report. Worldwide spending on blockchain solutions is forecast to reach $11.7 billion in 2022, according to a new update to the Worldwide Semiannual Blockchain Spending Guide from International Data Corporation (IDC). IDC expects blockchain spending to grow at a robust pace throughout the 2017-2022 forecast period with a five-year compound annual growth rate (CAGR) of 73.2%. Worldwide blockchain spending is expected to be $1.5 billion in 2018, double the amount spent in 2017. The United States will see the largest blockchain investments and deliver more than 36% of worldwide spending throughout the forecast. Western Europe will be the next largest region for blockchain spending, followed by China and Asia/Pacific (excluding Japan and China) (APeJC). All nine regions covered in the spending guide will see phenomenal spending growth over the 2018-2022 forecast period with Japan and Canada leading the way with CAGRs of 108.7% and 86.7%, respectively.